Please enjoy these testimonials sent into IACBW, about how God has been working through IACBW to bring increase to these women and their Business(es) and in all areas of their lives. “I attended the monthly meeting and decided shortly thereafter, whatever was going on in that group, I needed to be a part of it. I have attended the monthly meetings in Raleigh ever since. That meeting time each month is “me time” that I really need – not only for my own growth, but for the growth of my business. IACBW reintroduced me to prayer. I have been reminded of the importance of seeking God’s direction in making the important decisions in my business. Through the lessons as IACBW and the example of Ericka and the other members, I have come to realize that my business is not “my” business. It’s God’s business run through me. I have been reminded that He gave me certain talents to use for Him in this world. IACBW introduced me to women of excellent character who exhibit kindness and caring. It is a pleasure each month to meet women who are so talented and driven to succeed. We are similar in focus but different in business experiences, culture, education, and economy. Each woman is open in sharing their experiences and it is so encouraging to me to witness women sharing from the heart in order to build up another woman. IACBW has introduced me to women that I really want to be friends with. The monthly meeting is as comfortable as sitting in a coffee shop talking with a friend. I feel comfortable in sharing my troubles and triumphs in business. The women I have met in IACBW are the type of women that I want to spend time with. 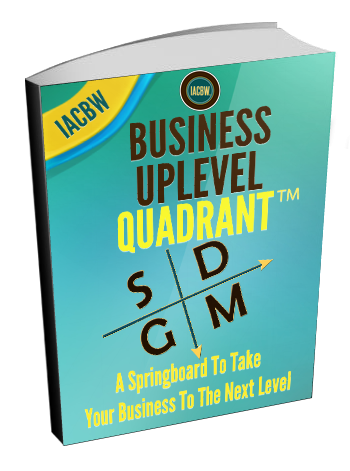 IACBW has introduced me to tools to help me grow my business. I have not seen a more comprehensive set of lessons on the basic building blocks for today’s businesses. Ericka shares her large number of resources which saves me valuable time when the need for a software application arises. Further, IACBW has made me aware of the new ways to market through the social media using audio and video. IACBW provides a place to meet women who are developing very interesting businesses. Everyone is open to referring each other’s businesses. The women in IACBW cheer each other on, every step of the way. I highly encourage any Christian woman who is thinking about running a business or currently running one, to join IACBW. Commit to the meetings and get to know the women who attend. Put into action the tools and enjoy the ride. Not only will you see growth in your business, but more importantly, growth in yourself. The best gift you can give to a Christian business woman is an invitation to a IACBW meeting.” – S. Meeker, All Safe Records Management Solutions, Inc.